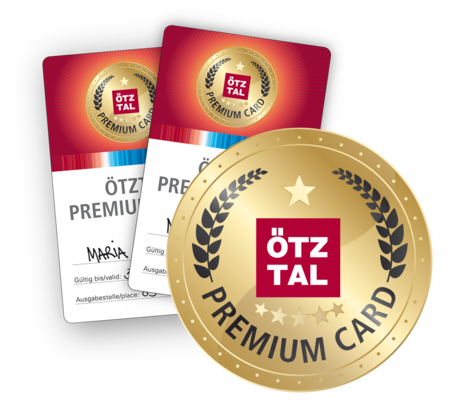 Your unlimited holiday pass available from late May to mid-October: The Ötztal Premium Card includes a huge number of highlights, attractions and discounts for a truly exciting mountain summer in the Ötztal. What's best? Staying at Sportpension Carinthia you receive the ultimate Ötztal Premium Card free of charge for the duration of your stay. Benefit from countless advantages and discounts and enjoy free admission to numerous attractions! For example: free use of the valley's public bus lines and summer mountain lifts (1 return lift ride per day), free admission to varied swimming lakes and outdoor pools, plus many more highlights. Here you find a complete list of all attractions included.